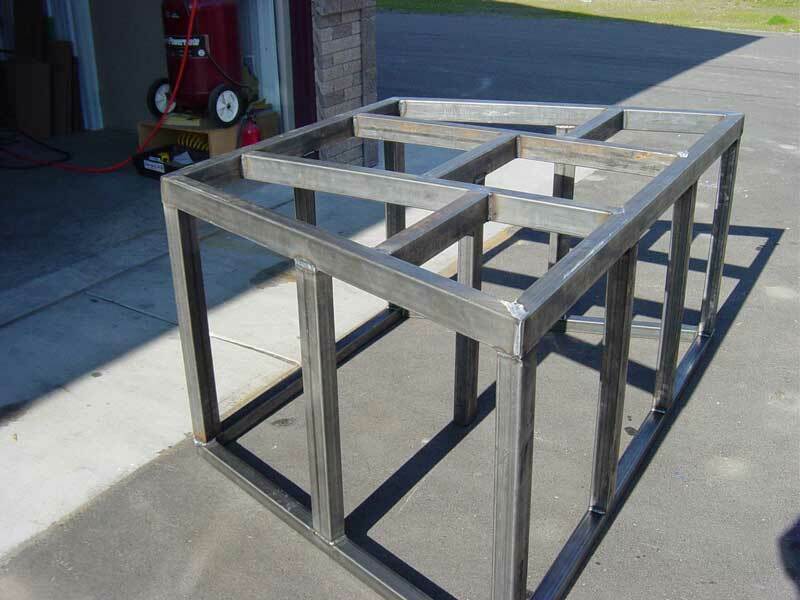 For larger tanks that need plenty of open space underneath for filtration, a welded steel frame is often the way to go. 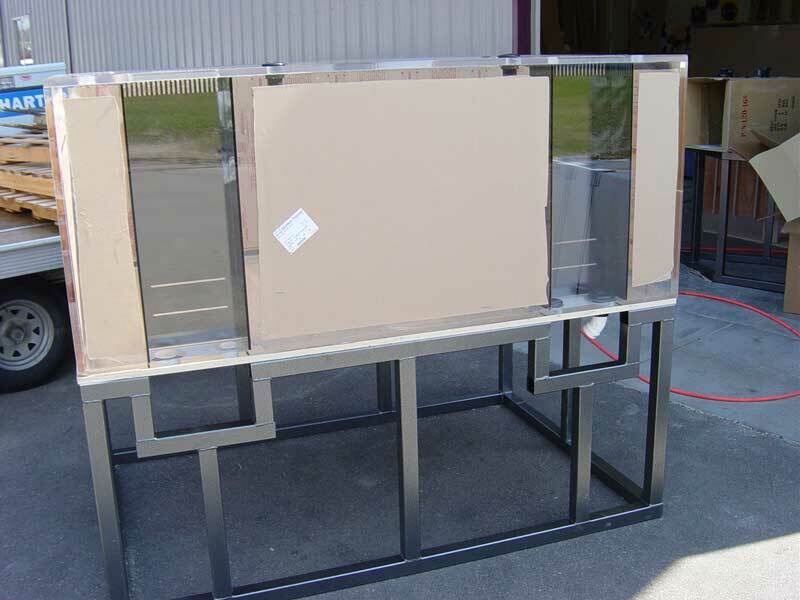 It eliminates the need to put any thought into the load-bearing requirements of an aquarium stand. 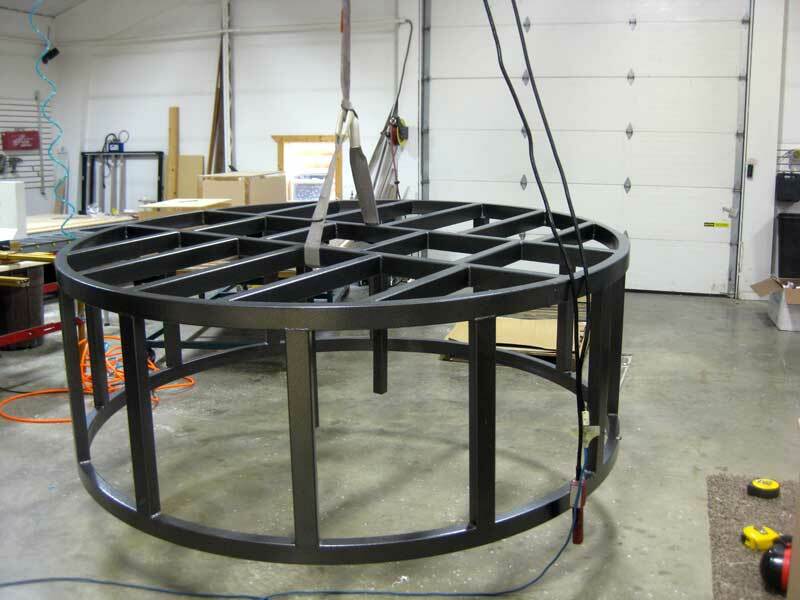 They are recommended for tanks 30-36” in height and higher. 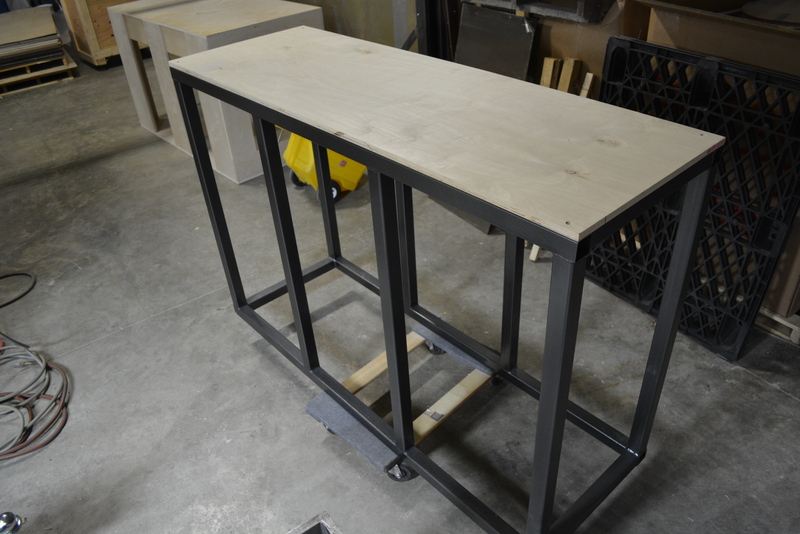 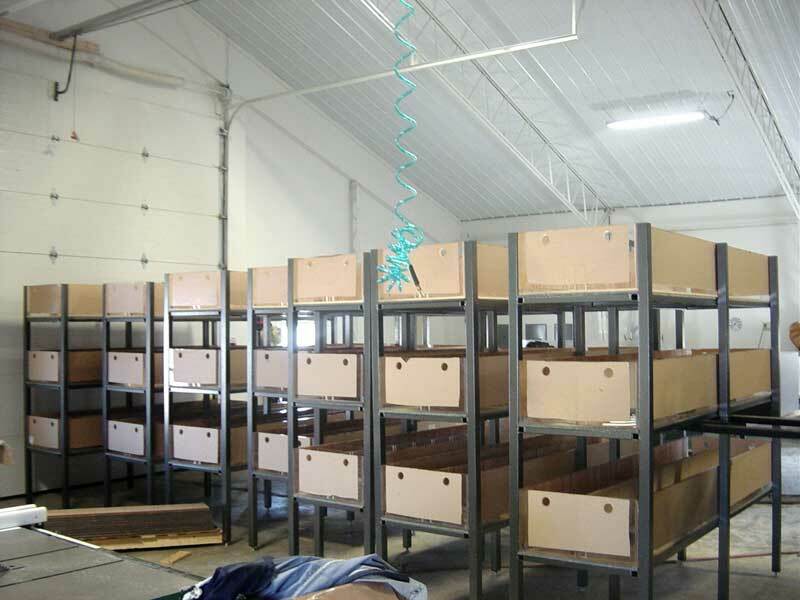 Stands built from all wood materials for larger tanks tend to need more bracing, supports, and often dividers underneath, all of which rob valuable filtration space. 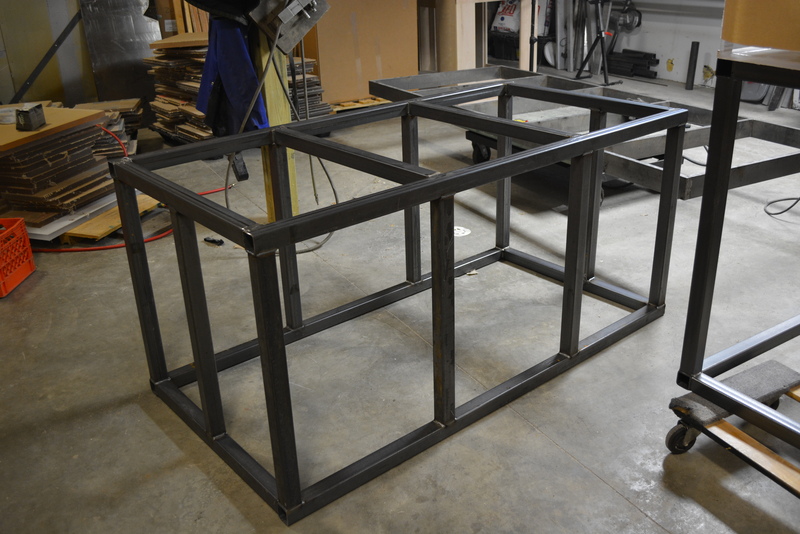 Going with a welded steel support frame generally can free up most of that space beneath the tank, leaving you with a wide open area in which to install your filtration. 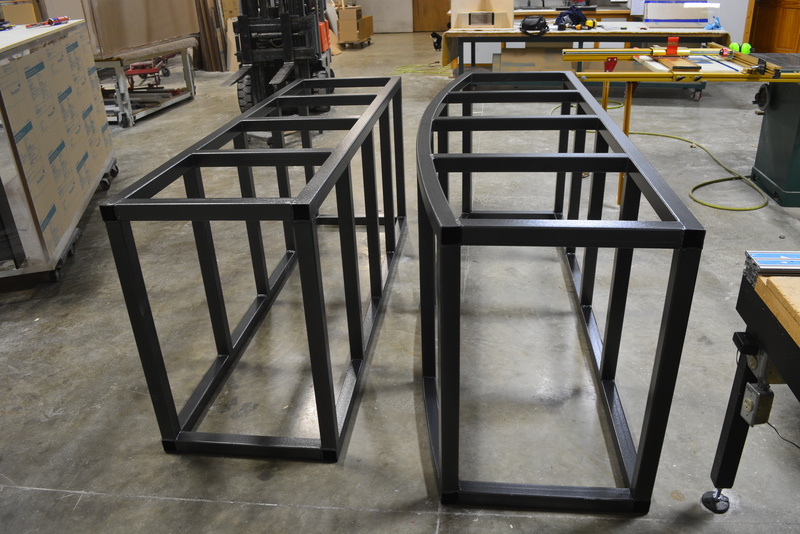 We use either square or rectangular tubing, not angle iron. 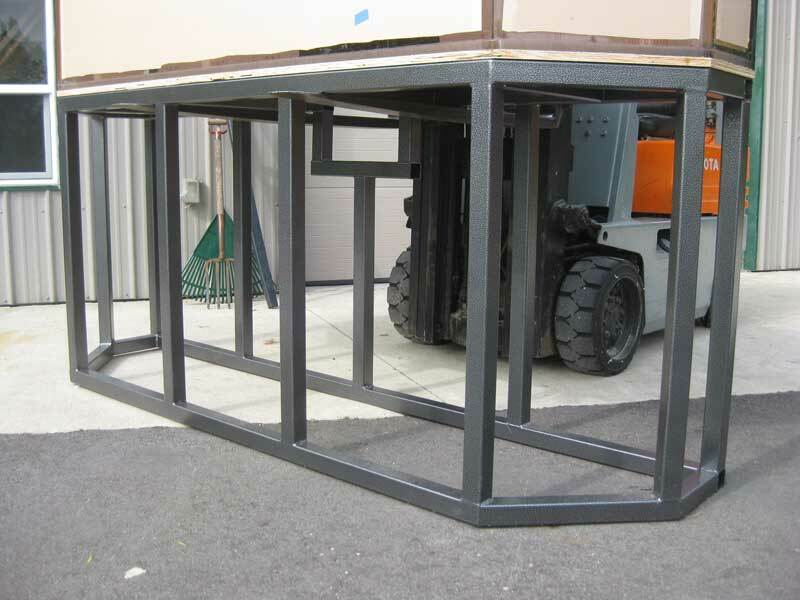 With few exceptions, they are usually fabricated so that the weight is spread out evenly, with the legs sandwiched between an upper and a lower support. 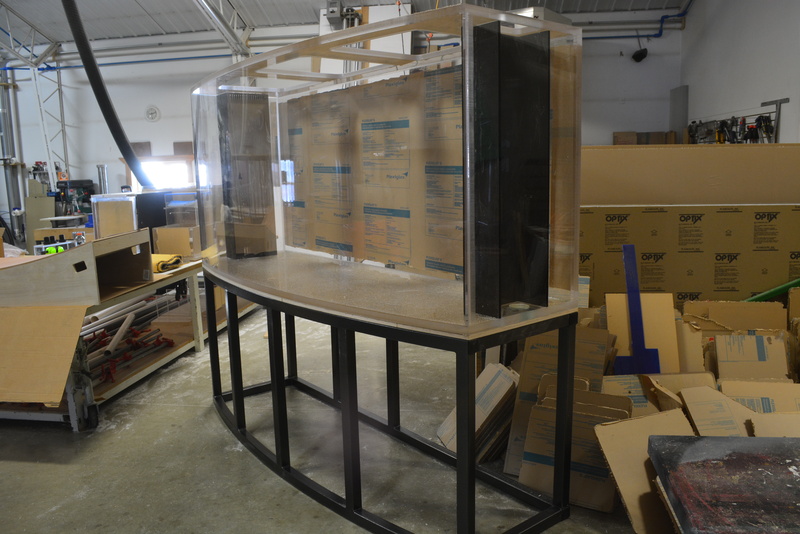 When ordered with an aquarium, they will automatically be built in a manner to provide clearance for overflows, bulkhead fittings, closed loop fittings, etc. 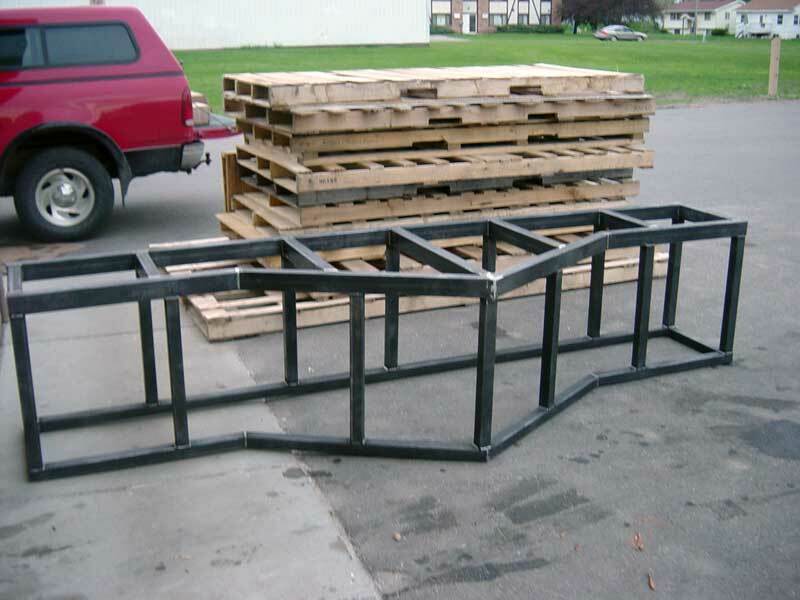 We send our frames to a powdercoater for a durable, corrosion resistant finish. 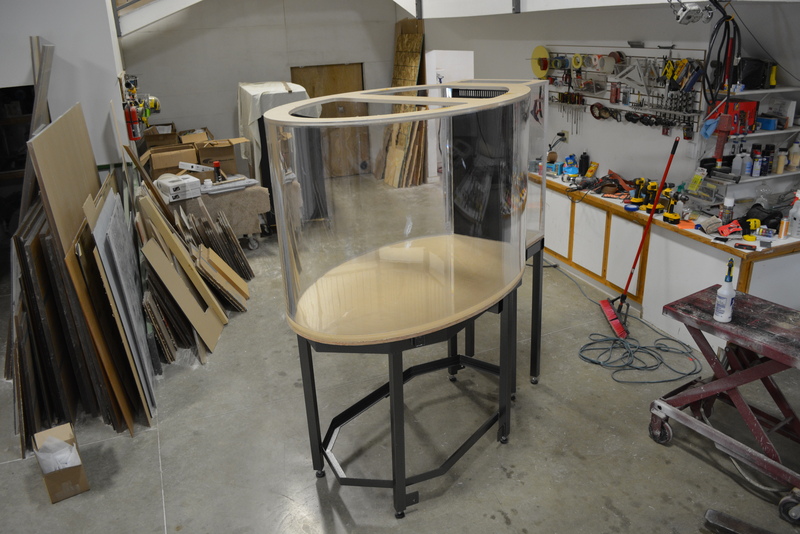 All steel stands must have a plywood (or other flat, strong material) top to evenly distribute stress on the tank. 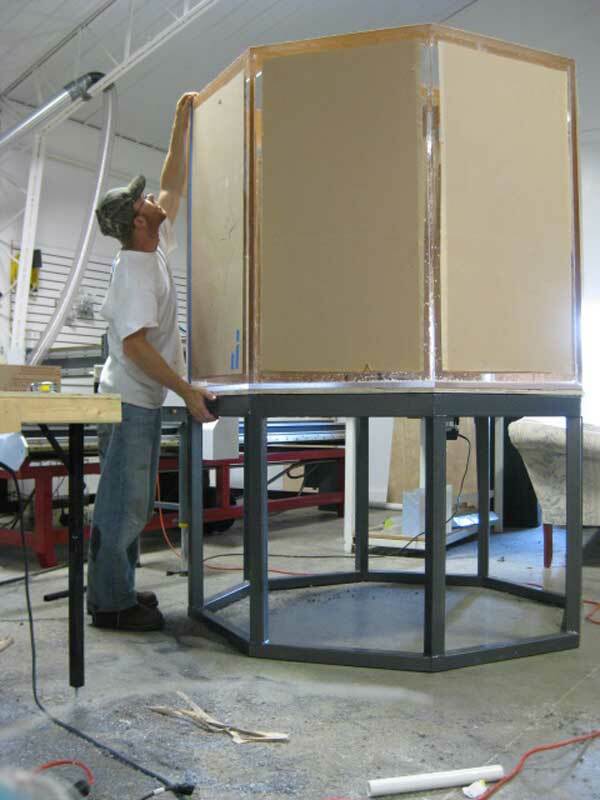 Minimum of one layer of 3/4″ is required, two layers are better. 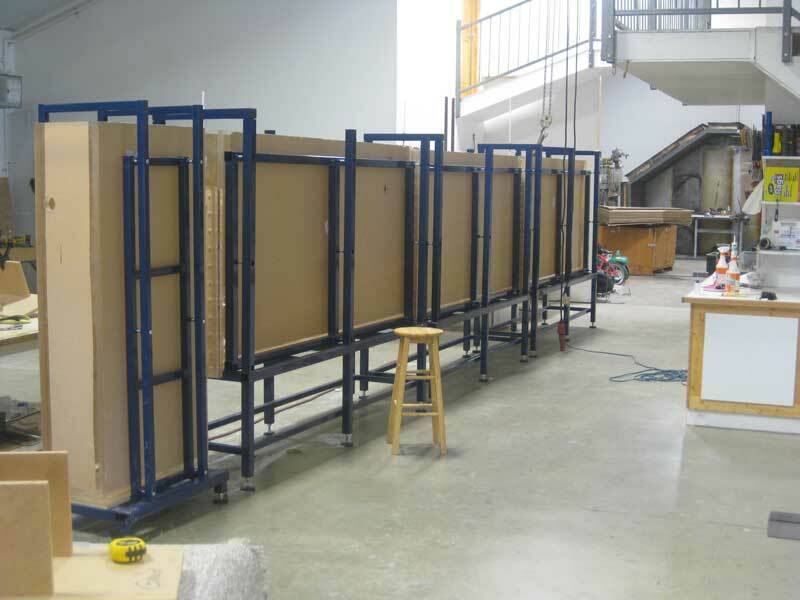 The frames do include the top plywood on top as seen in some of the pics below. 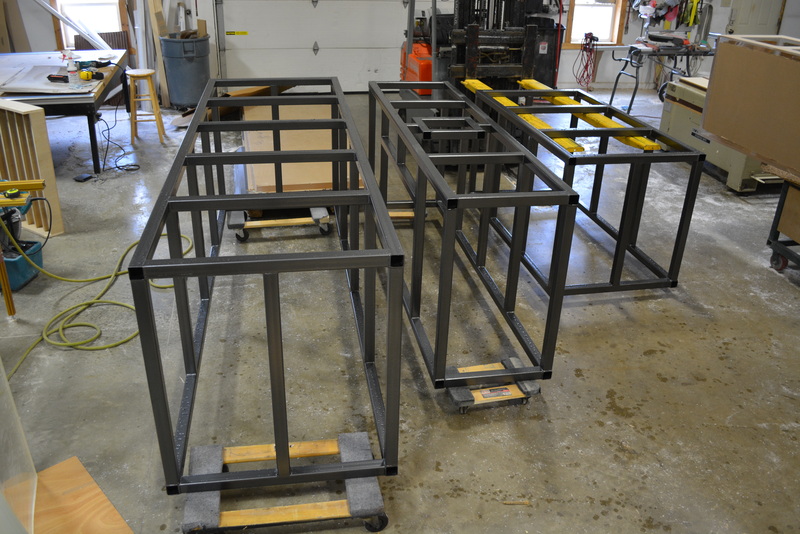 You should not set an aquarium directly on the steel; this would void the warranty of most manufacturers including ours. 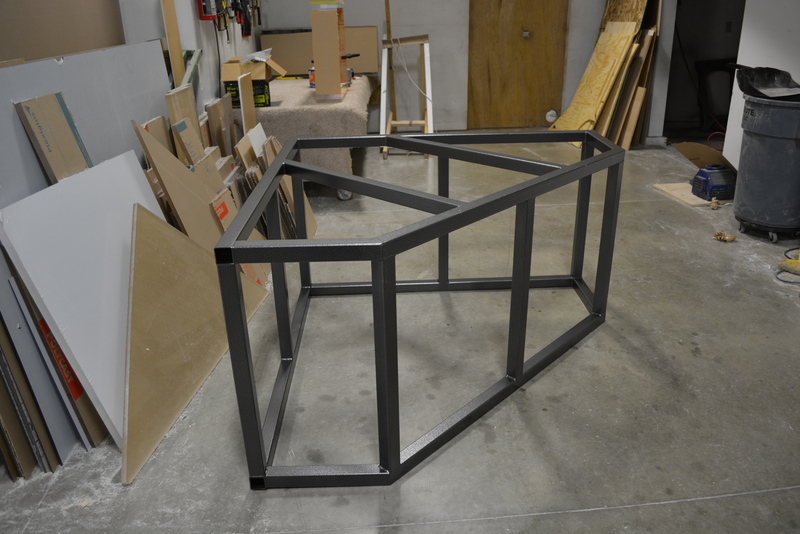 This necessary top (and/or bottom) can also be provided. 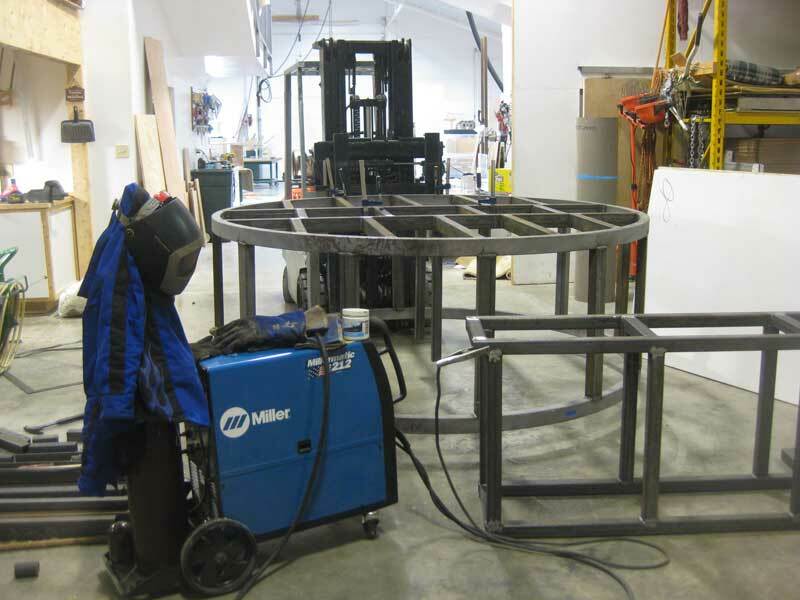 We typically bond it right on to the steel. 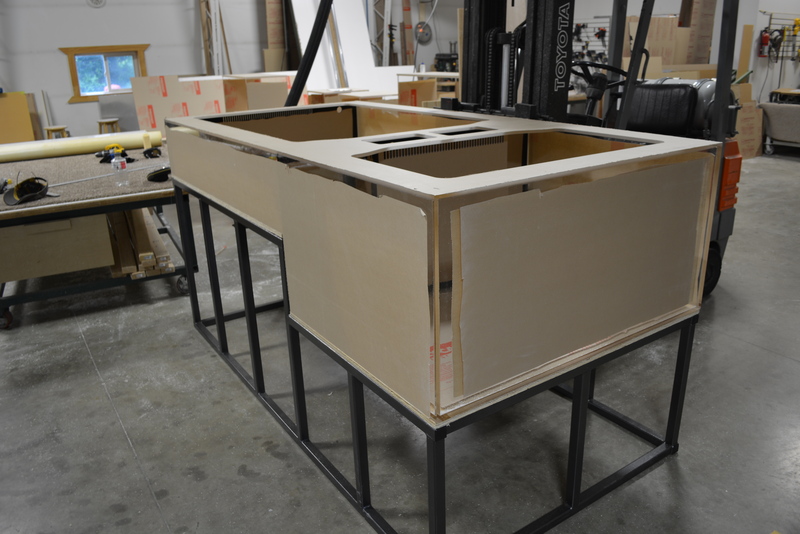 A decorative covering, custom cabinetry, or other finish work is typically added around the frame to give it the finished look you need. 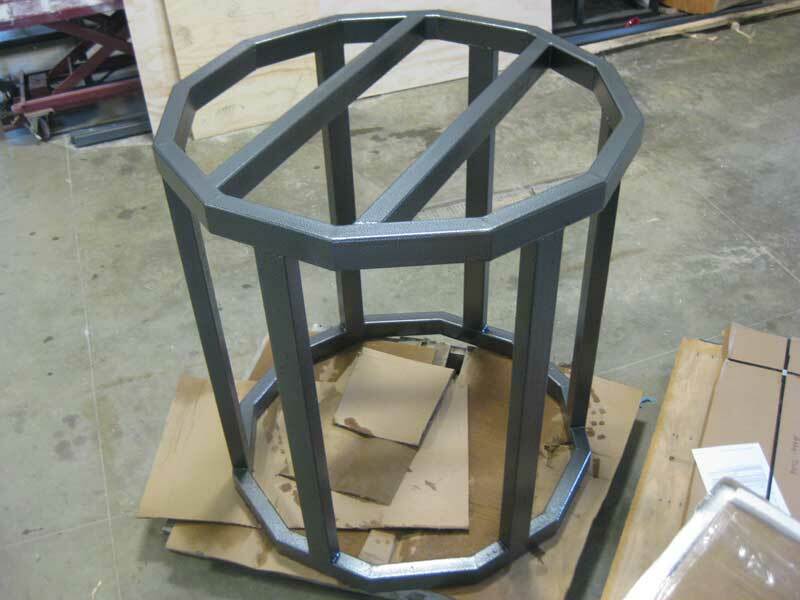 We can ship it without or can provide that component as well. 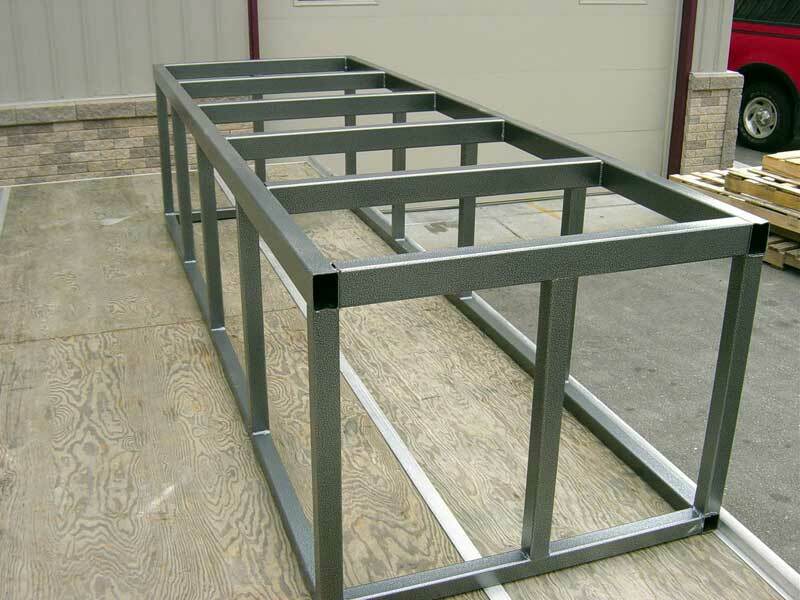 We can customize them to your specific situation, such as adding extra width so you can have a boardwalk behind the tank for maintenance, stairs to get up, framework inside to suspend a chiller, leveling legs for awkward surfaces, etc.